Now easily monitor if your package is mishandled during transit. 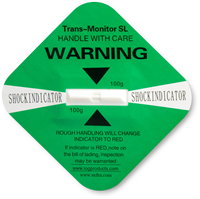 Our Shock Indicator Label is the most affordable and effective way to gauge any damage to your package. • Label is ideal for avionics equipment, service/repair electronics, wine cases, computer parts, tapes, discs, and more. 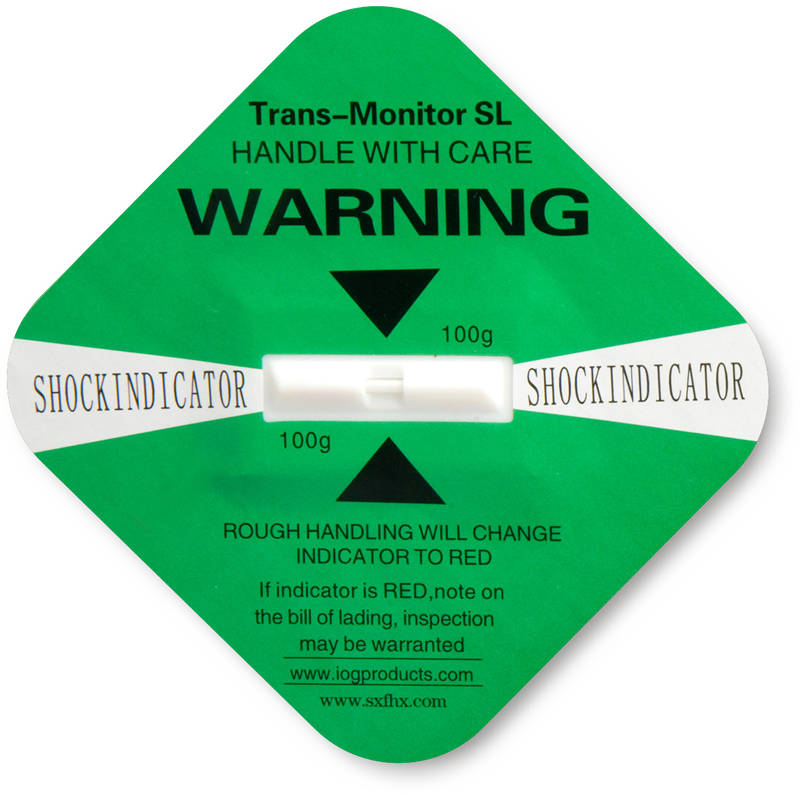 • This Green Shock Indicator Label has a sensitivity of 100G at 50 msec. • Label sticks to your package easily. • Buy with our large Shock Indicator Companion Labels that explain the function of indicator labels in more detail.